Winter causes my skin havoc... going out to windy weather conditions and coming in to central heating on a daily basis really dries out my skin. Not to mention that the products I was using before just didn't seem as effective anymore, even my beloved facial oil couldn't help to keep my skin feeling plumped and nourished. 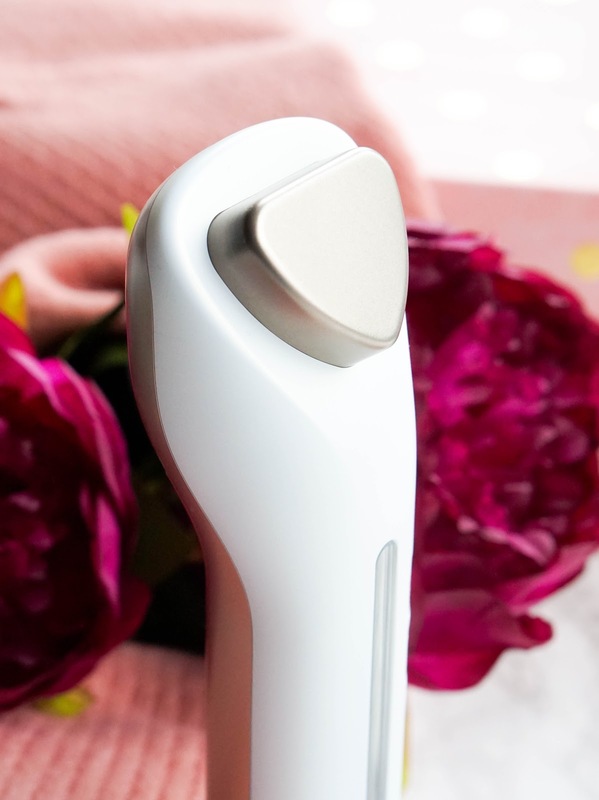 So when Panasonic Beauty got in touch about creating a personalised skinalysis plan for me with some of their high-tech gadgets, I was definitely intrigued and eager to try something new. The best part about this whole new plan is that it would be shaped around my everyday lifestyle, to suit my needs as a busy mother. You see being a mother without much help from family since we live in different countries, means that I often lack in finding the time to go for facials for example. So I know that I personally need to pay extra care and attention at home in the evenings, when I finally have a bit of me time. 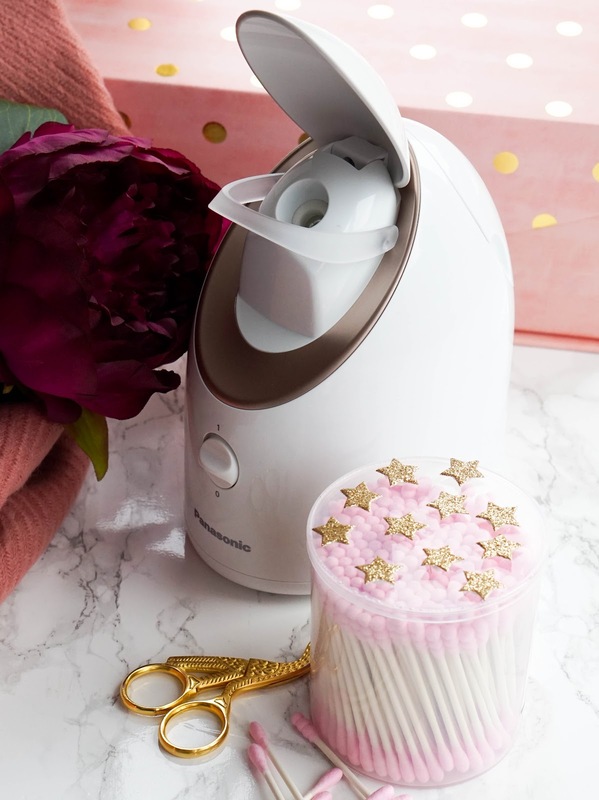 Using gadgets like the Panasonic Facial Steamer along with the Micro-Current Facial Enhancer, means that I can achieve great results at home with my current skincare routine. The skincare products I will quickly talk about here are relatively new, I actually picked them up a couple of weeks before receiving the Panasonic Beauty items. I've focused more towards dry skin, but I didn't spend a fortune on professional brands and I have to say that right now after using these new gadgets for a while, my skin is feeling happy. I really enjoyed being able to talk about my skincare needs with the Panasonic Beauty Ambassador and leading skincare expert Louise Thomas-Minns. 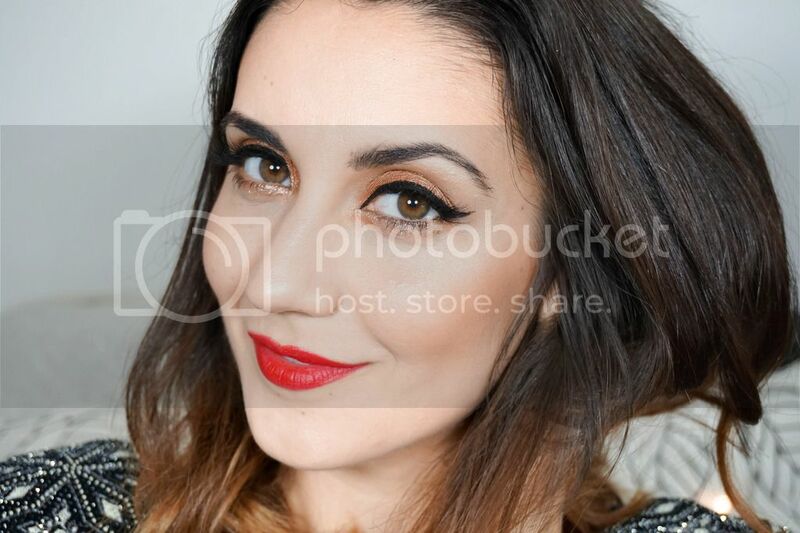 Through a few simple questions and from my main skin concerns, Louise was able to develop a tailored skincare plan completely shaped around me, including bespoke tips and health/lifestyle advice. Of course the healthy eating and lifestyle advice is easier said than done, especially when you have a sweet tooth like mine. Saying that I have known for quite some time that refined sugar is not great for our skin in general, so I am trying my best to cut that out as much as possible. Louise did give me a few skincare product recommendations, but since this analysis was shaped around me, she focused more of helping me achieve the best results with the products I already own. 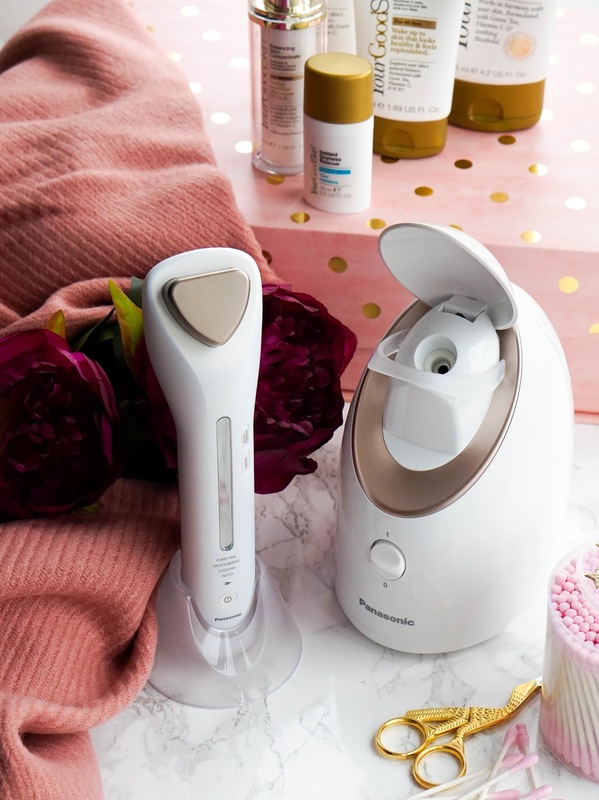 So let me tell you a bit more about these exciting gadgets.. first up the Panasonic Facial Steamer with Nano-Ionic Technology*. If you enjoy using a steam room regularly, then you will love this. I don't really have the option to go to a steam room often, so this is the perfect at-home treatment. Using a steam technology system like this, is amazing for dry skin as it really helps to keep hydration levels up. The nano-ionic technology is even better then your regular steam room, as it generates steam particles that are 18,000 times finer than regular steam particles, so it reaches the deeper layers of your skin (if that makes sense). I wish I had more time to fit this in my daily skincare routine as right now it's more of a once or twice a week thing. I really do find that my skin looks plump and feels hydrated pretty much instantly. Panasonic claim the by using this steamer regularly, your skin’s layers are naturally stimulated, which in turn rejuvenates and increases elasticity. It's only been a couple of weeks but I do believe in the claims and look forward to continuing to see improvements in my skin with time. Purifying with a gentle and relaxing heat mode, to help open up the pores for a deep cleanse and exfoliation. It's perfect for massaging in something like a cleansing balm or gel into the skin, I find it super soothing. Cooling mode is amazing for awaking the skin in the mornings, especially around the more sensitive eye area to reduce puffiness and improve fine lines over time. I also enjoy using this with toner as it feels so refreshing. Moisturising mode should be used with your regular moisturiser to increase hydration levels and maximise results. It's actually the setting I have been using the least, as I prefer the relaxing heat and awaking cool modes so much more. The design of both products is so 'blogger' with the crisp white and rose gold accents.. they will definitely look pretty in your bathroom shelf. 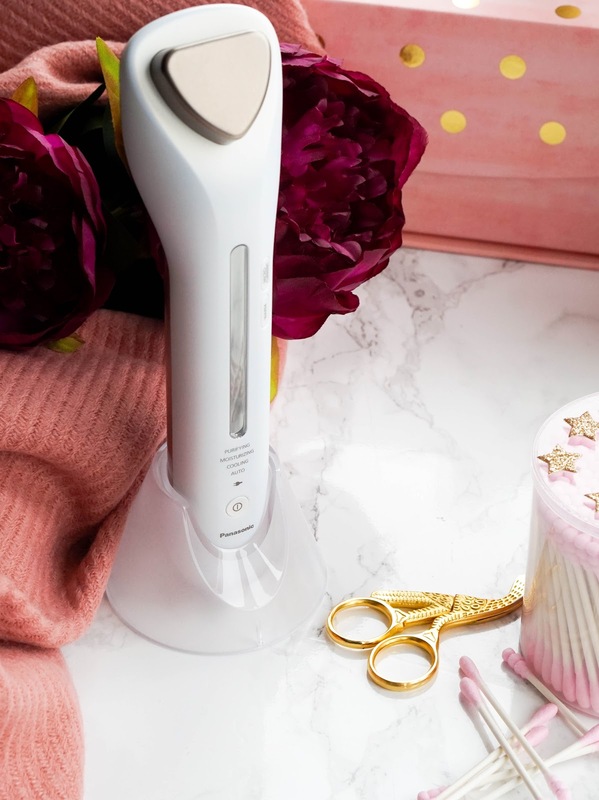 These gadgets are certainly not essential in your skincare routine, but more of a luxury which I am very lucky to be able to try. I do think that they are worth investing in, if you want to continue using your regular skincare products but achieve better results. Not to mention if like me you have no time for a spa pamper and need to pay extra care to your skincare routine at home. 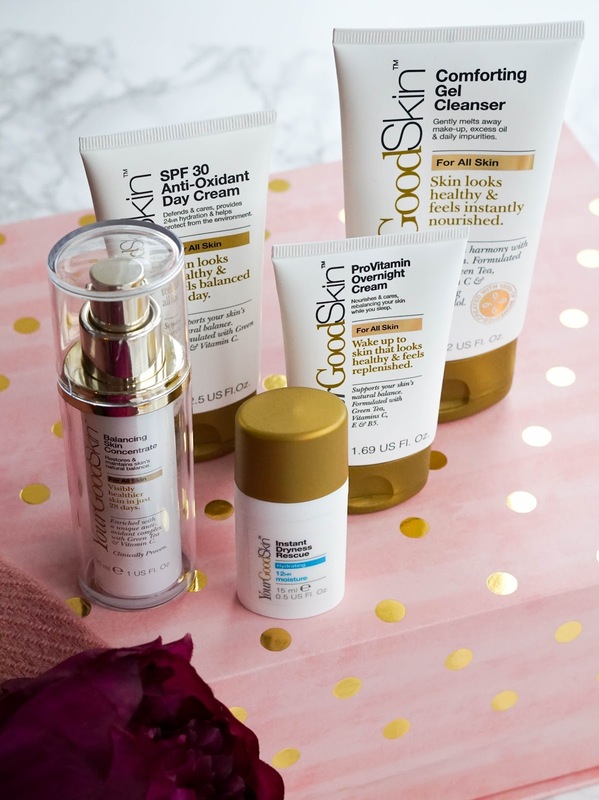 I also wanted to quickly mention the new skincare products that I have been quite impressed with recently, because they are from a new Boots own brand and they are affordable too (especially if you snap them up whilst on offer). The brand is Your Good Skin offering 23 skincare products from cleansers to wipes, toners, moisturisers and a hero serum. The brand was co-created by a community of thousands of women and a lot of research went into every product available. I actually love the white and gold packaging, so chic and Instagrammable, plus it's all tubes.. no messy (unhygienic) pots involved. I picked up the Comforting Gel Cleanser, which is so lovely to use in the evenings and I find it really effective at removing makeup (especially when it's paired up with the Panasonic Facial Enhance). I also had to pick up the Balancing Skin Concentrate, which is the star the brand aiming to deliver results of visibly healthier skin in just 28 days. The concentrate is like a lightweight lotion so I personally enjoy using it as my daily serum. It contains antioxidants like green tea, vitamin C, vitamin E and Japanese lily turf root, which all help to improve the skin’s overall appearance. I'm coming close to the end of the bottle and I have to say I am genuinely impressed because my skin feels super soft, radiant and hydrated. 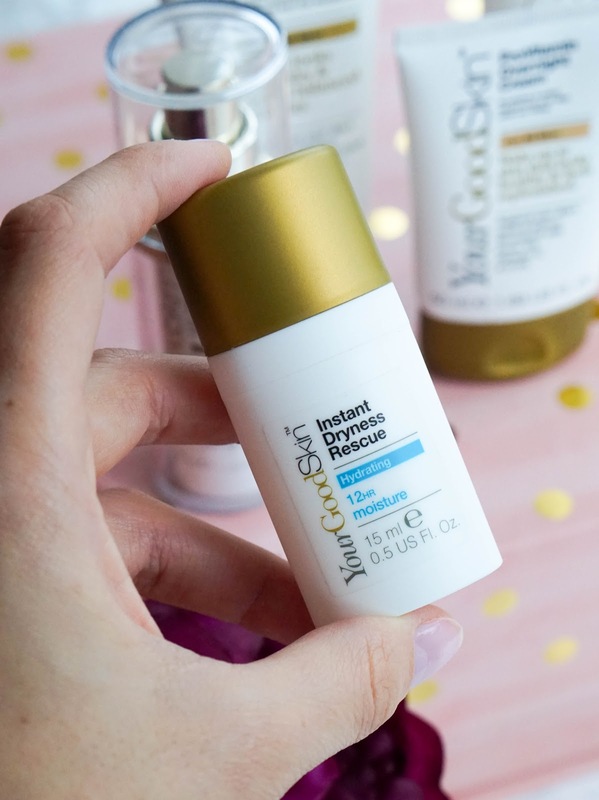 In the mornings I have been using the super tiny 15ml Instant Dryness Rescue Moisturiser, which I have already finished and will need to repurchase ASAP, my skin loved it and true to its claims, it really did provide long lasting moisture throughout the day. In the evenings I switch to the ProVitamin Overnight Cream, which once again feel super lightweight, yet provides my skin with that much needed nourishment so I wake up with glowing and refreshed skin. Lastly I have the SPF 30 Anti-Oxidant Day Cream, which is my least favourite and not something I've used often. I found the formula of this on the sticky side, plus it takes a while to blend into the skin effortlessly. Worst of all is that I accidentally applied the cream too close to my eye area and my eye were watering for a good few hours. Probably due to the added SPF but it's extremely irritating for the eyes, so not a winner in my books. 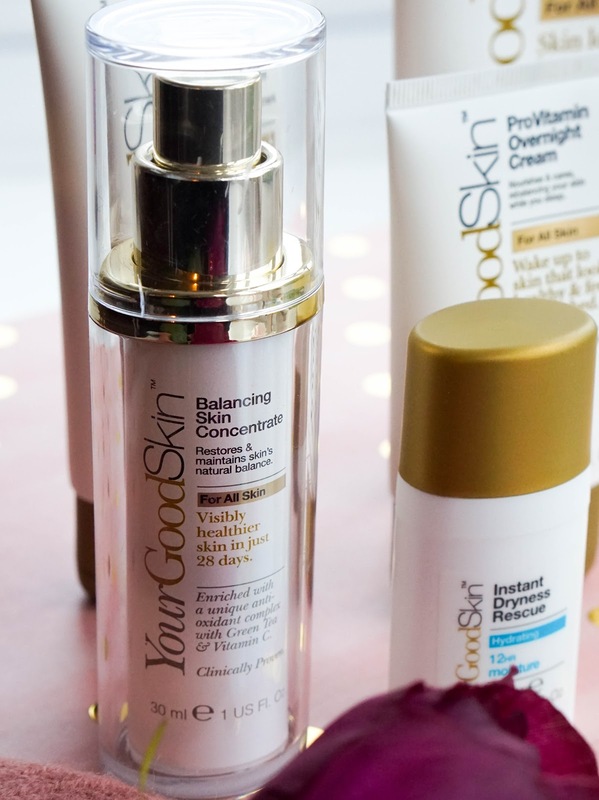 So that's it from me and my current winter skincare routine, filled with luxurious and ingenious gadgets from Panasonic Beauty.. not to mention the new and affordable skincare brand Your Good Skin, launched by Boots. I'd love to hear your thoughts on any of the brands/products above? What would you like to include in your winter skincare routine? Let me know..